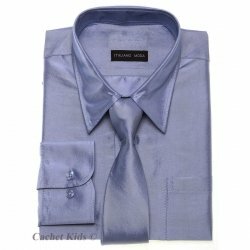 Cotton blend quality boys formal shirt in navy. 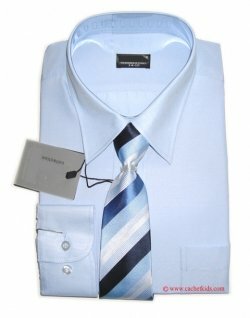 High quality 35% cotton 65% polyester fabric for comfort and easy care. 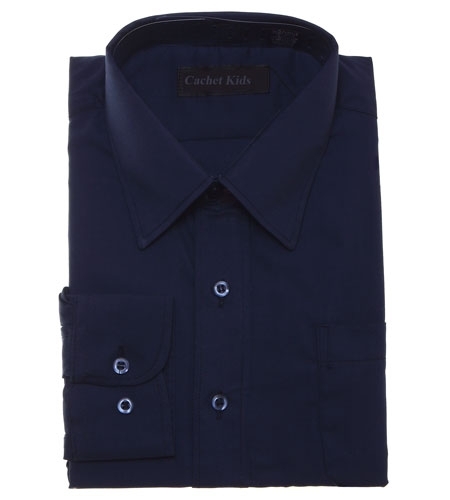 This boys navy shirt has single needle tailoring for a smooth, neat fit. 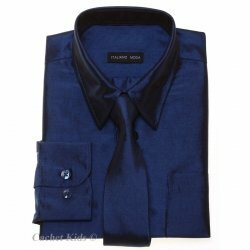 It has a top fused collar with permanent collar stay, a deep sleeve placket for ease of movement and a button through placket on sleeve. 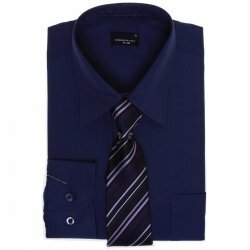 This boys navy formal shirt has two button adjustable cuff, deep back yoke, box pleat for comfort and a tail hem.